Omigod—I’m due to write a blog and I have nothing to say! Oh, wait, yes I do—I’ve been in South Asia for a few weeks. Why don’t I try to put together some impressions of Asia and compare it from afar to the U.S.? That’s what we’ve been doing over dinner since I’ve been here. I have been in Hong Kong, Kuala Lumpur, and Singapore, in recent weeks conducting workshops for young members of business families. Our discussions have given me a cross-section of the current state of business and commerce in South Asia, and a bit of insight into their contrasting social and political institutions. I’ll save the family business discussion for another post and talk about the social political systems here. The biggest attention-grabber in this region is the tremendous amount of energy of its people—working, relaxing, and building. 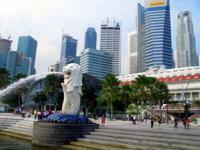 Singapore, especially, is a city of young people, but each city is full of gigantic new neighborhoods, malls, and housing areas. They know and appreciate the pleasantries of life, and express this appreciation by working hard to build and maintain it. The descriptions of the buildings stress that they are green certified and all three cities—Kuala Lumpur a bit less so—have a clear focus on green development. There was a large conference on healthy cities in this region recently with the focus on building relationship patterns—in both suburban and urban areas—and the sort of things that we, in the U.S., talked about in model cities during the 1960s.There is great concern about the pollution in Chinese cities and south Asia wants to keep a clear focus on livability. Every business and individual is aware of sustainability issues here in a respectful way. Many of our talks looked at contrasting political systems between Asia and the U.S. At a restaurant in Singapore, I mentioned that the prevailing image of Singapore in the U.S. was the arrest of the American college students there several years ago who were caught with drugs. After that incident, the U.S. perceived Singapore as a highly-regulated police state. My guests—women—laughed at this conclusion. They had all been educated in the U.S. and talked about their fear of going out on campuses in the U.S. In Singapore, they say, there was no place or time when they ever felt any sort of fear. They all agreed that they felt freer there. We talked about Singapore’s zero tolerance for drugs and the U.S. prison situation before agreeing that—however Draconian Singapore’s approach appears to be—Singapore had been more successful in conveying the fact that drug use was not to be tolerated. We can’t talk about a “police state,” the women said, with the lingering impression of how we treated Mr. Strauss-Kahn, which was their impression of U.S. justice compared to Singapore’s version. Singaporean elections are collegial. I read about the four candidates for chief minister at the next election in Singapore—all named Tan—getting together with the minister they were vying to replace for tea. They appear to be friendly rivals. That’s not the way it works in the U.S.! When I visited Kuala Lumpur, I got up in the morning to find the streets bare. Outside my window was planned the largest demonstration to be held in Malaysia for some time. The police were lined up with tear gas and the government had said that the demonstration was not to be held, but the people were there anyway. They closed off the city to traffic, and there was to be a face-off. I watched it and there was a struggle, but just like in the U.S., people were arrested and released in several hours, and both sides declared the rally a success. The issues were voting irregularities that were claimed to keep the ruling party in power over many years. The papers were full of debate and dialogue about it. There are many more impressions. It is hard to be there and not feel very sad about the turn of events in the U.S. We have freedom but we define freedom in empty terms—to have a vote, to get information, not to develop institutions and communities that actually serve people. Coming home to see the cuts in government and the widespread agreement that taxes and government are bad seems to clearly indicate a great failure of a social contract between a government and its citizens. The sense in Asia was not dislike of the U.S. Instead, they perceive the fear that our power seems to have gone and has been replaced by sadness at how we blew our era of opportunity and squandered our moral and social leadership. Sadly, reading Tom Friedman’s column on my way home, that is what we ourselves are starting to feel.